Remember when video killed the radio star? Don’t worry, social video hasn’t killed still images just yet. But video is definitely a major social media marketing tool to consider for brands. Videos take up a large portion of consumer’s interactions on social media. Clips are uploaded to Instagram, short video clips shared via Instagram Stories and the not dissimilar Facebook Stories, video ads are shown to users on Twitter. It has also gotten pretty easy to “go live” with video broadcasts using Facebook Live, Twitter Periscope and Instagram Live Video. Use a Walls.io social media feed to collect and showcase posts, images and videos from multiple social media networks. Video is everywhere on social media. But while a few years ago embeds from YouTube and Vimeo were still the most reasonable way to present videos on social media, things have changed. Most social media platforms now support native video, meaning you can upload or even create your videos on the very same platform you’re planning to share them on. Instead of users clicking through to YouTube and watching a video there, the clip is shown directly in the timeline, often even on autoplay. Even LinkedIn added native videos in 2017! When users no longer have to click through to another platform to watch a video, they’re more likely to actually watch your video — and thus share it on. People will look at anything that moves, whether that’s a cat you’ve spotted running past in the corner of your eye or the moving images of a video on social media. Videos are attention grabbers because people pay attention to video content in their feeds. Native video is consequently great for reach and engagement. People see it right there in their newsfeed, they don’t have to leave the platform to watch it, and if they like it, they can easily engage with it and share it on with just a click. The numbers speak for themselves: Native Facebook videos garner on average 530% more comments than YouTube videos. And tweets with videos are 6 times more likely to be retweeted than tweets with just images — and still 3 times more likely than those using GIFs. Videos are also a great way to package content for those people who prefer consuming information in video format. Some people prefer to read, others prefer audio, and many users enjoy watching a video instead. Videos are also an important part of social media campaigns. So, of course, Walls.io supports videos on social media walls. Videos in posts are playable on your social wall, keeping your users right there instead of having to send them to a specific social media platform. These days, it’s quite easy to just pick up a phone or a digital camera to point and shoot. However, video is a content type that ideally requires some planning ahead. So before you get started, here are the most important things to consider when using social video. Each platform is different. So make sure you research and use the right specs for each social media platform. That includes size and aspect ratio of the video, but also the ideal length, which is different depending on the platform. Keep in mind that many people use social media on mobile and might not turn their phone to landscape to watch a video. Think mobile first and consider creating square videos that make full use of the space on smartphones. It seems a bit redundant to tell you to focus on visual content when talking about video. But the thing is: people are likely to watch videos on social media with the sound turned off. It’s your job as the video producer to make sure your videos can have a full impact even with the sound turned off. A great example is Buzzfeed Tasty. The short videos quickly and succinctly present recipes for dishes without needing sound. They work solely with images and text and usually garner around 800k views on Facebook. The videos also work well on Twitter and Instagram. Here's a short-cut with how to make the most amazing peach cobbler "beignets" ? !FULL RECIPE: https://tasty.co/recipe/peach-cobbler-stuffed-beignetsNeed a couple of supplies to get started? Click HERE: http://bit.ly/2sxW80E – We may make some $$ if you buy! If sound is for some reason essential for your video, that’s perfectly reasonable too. But you’ll need to tell people that they should turn the sound on to fully experience your video. Put it in your description or at the beginning of the video — a simple sound on ?in the caption usually does the trick. In every step. With every breath. #airmovesyou Sound on. ? In any case, always use subtitles and closed captioning for your videos, so people can choose to leave the sound off and still get what the video is about. Furthermore, this also makes your videos more accessible to people who are hard of hearing. When you choose the length of your video, remember that social media is very much a short-attention-span medium. No one has the time to watch the equivalent of a long read when scrolling through their Twitter timeline. Research the appropriate length for each platform and, when in doubt, stick to short videos. For example, 30 seconds is long enough for ads. Obviously, not every channel is hashtag-friendly these days (looking at you, Facebook), but do use hashtags in your video caption where they are appropriate (Twitter, Instagram, musical.ly, etc.) to make sure your post gets seen and, of course, to pull your video posts into your social media wall. Walls.io supports native video on social media walls. Video posts are collected on your wall just the same way as any other post via hashtag and they can be watched right there without leaving the wall. But even if you, for some reason, don’t use hashtags on your posts, you can still pull your video posts into your social wall by setting up your page or profile as a source. Are you thinking of using live video broadcasts? It might be wise to familiarise yourself with your platform of choice and practice on a non-public account before going live with video on your brand account. You don’t want the fact that you can’t find the right buttons while you’re live, keep you from succeeding with your first videos. Video is a good medium for branded content, but don’t forget that it works great for user-generated content as well. Creating video has become really easy these days, thanks to smartphones. About half of internet users are already uploading video regularly anyway. All you have to do is to ask them to create content for your brand! The return on investment on user-generated content is fantastic for brands, so put it to good use. Then, use your social wall to aggregate the videos posted with your hashtag. While Facebook, Instagram and Twitter are all big on native social video, there are other platforms to consider as well. One of them is musical.ly, which specialises in short-form video content. More and more brands are paying attention to this platform and trying to break into it. Check out what musical.ly can do and see if it’s the right platform for your brand. Videos are not just great marketing content, they can also be an integral part of your social media campaign. And I don’t just mean as user-generated content! Videos can help you grab your audience’s attention and explain your campaign. Just make sure to add a clear CTA to your video: if you want people to post to your hashtag campaign say something like “post your submission using #yourhashtag” to encourage them. Use a social wall to combine your own video content and the videos created by your fans in one place. 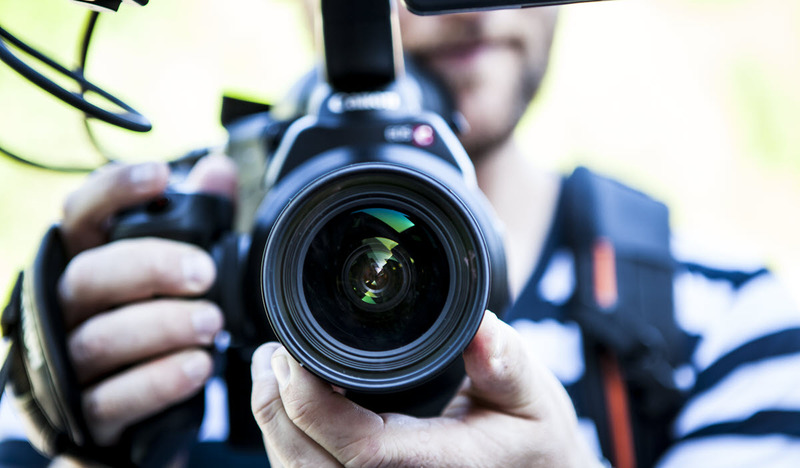 Whether you’ve always wanted to try shooting video or are still feeling a bit apprehensive — it’s time to embrace social video content for your brand. All you need is a camera (or a smartphone), a bit of technical knowledge you’ve researched, and a plan.